I know the thought of wearing a bright shade like red is daunting for some, however finding the perfect shade of Red is a game changer. You will go from shying away from it every time you reach over for your makeup bag, to wearing it every other day like I’ve done this month. I’ve worn a very bright red with an orange undertone from Mac Cosmetics in the shade ‘Fashion Legacy’. Tiny, delicate yet noticeable is the way to go with neck pieces especially if you want to incorporate it as a signature look and wear it daily. 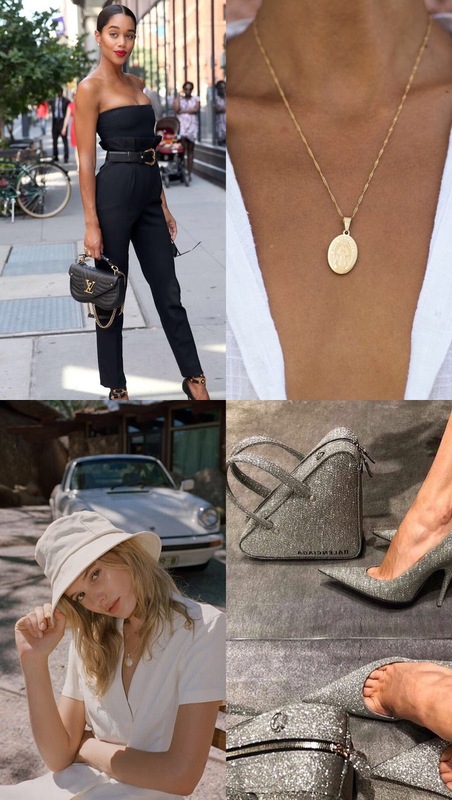 A dainty gold necklace with a circle charm paired with a crisp white shirt (not buttoned up completely), leaving enough room for the necklace to sparkle through is one way to make accessories work for you. Do not sleep on this stylish piece-I repeat. I visited my parents a few weeks back for Christmas and because the sun is scorching hot down there and almost unbearable, I made use of bucket hats to hide from getting a terrible sun burn but staying stylish while at it. A pointy black pump should be a pair that one finds in every girl’s closet, if you should ask me. These are the most functional pair of heels one could ever own. Got a meeting with a client during the day and a drink later with the girls? This is the one time you don’t have to carry another pair of shoes to change.